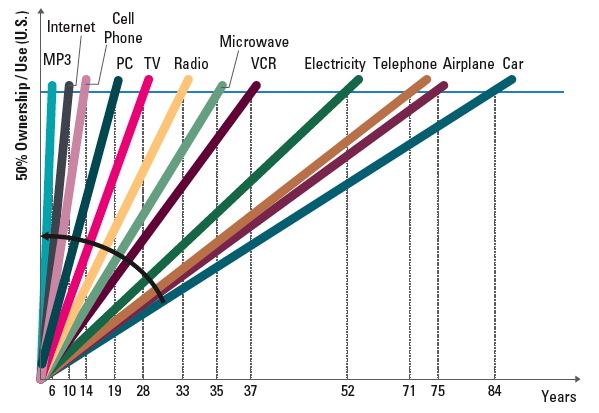 AOL, whose dial-up internet business was destroyed by fast cable, DSL and not mobile phone internet connections connections (see graph) is trying to reinvent itself as a content company. It was to write local news and take the Huffington Post global. 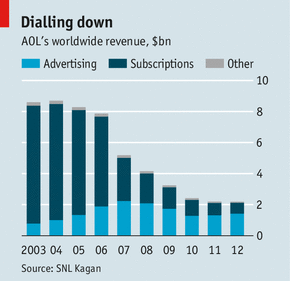 Read details on Economist.com: AOL’s second life. Strategic Management 4 is all about the need for an organisation to revisit and redefine its business model in response to, or in anticipation of, sustained poor performance. Michael Dell believes that the stock market will be able to stomach further profit declines that are required to make investments for the turnaround. Mr. Dell told the board that the only way out involved changes in the company’s business model and expensive investment in new products and services. 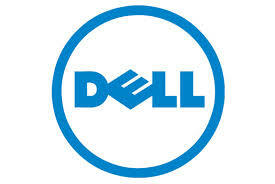 “Implementing such initiatives would require additional investments that could weaken earnings and cause greater volatility in the performance of the common stock,” the filing said Mr. Dell argued in a Dec. 6 meeting. To win more time to turn around Dell, Michael Dell with the help of a private equity partners is taking Dell Computer private again. One of the reason the turnaround since 2007 has not been sufficient is that tablets have eaten into the market for PC in a way that Dell did not expect. 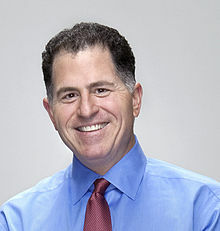 The WSJ reports: “When asked in a 2011 interview with The Wall Street Journal what surprised him most since he returned as Dell CEO in 2007, Mr. Dell said the rise of tablets had been unexpected for him. Home Depot is not the first company to find out that the strategy that worked well back home does not work in a foreign country. Wal-Mart failed in Germany not realizing that the competitive landscape was different. Starbucks failed in Australia, closing most of its shops because the Australian consumer was used to much sophisticated coffee. The WSJ journal reports on the changes in the Home Depot China strategy after failing to implement the previous one successfully. The largest U.S. home-improvement retailer, which entered China in 2006, has struggled to gain traction in a country where cheap labor has stunted the do-it-yourself ethos and apartment-based living leaves scarce demand for products like lumber. Home Depot conceded that it misread the country’s appetite for do-it-yourself products. “The market trend says this is more of a do-it-for-me culture,” a Home Depot spokeswoman said of China.Home Depot is shaking up its strategy by focusing on specialty stores. Three months ago, it opened one paint-and-flooring store and one home-decorations outlet in the northern port city of Tianjin to cater to specific needs and shopping preferences shown by Chinese consumers, the spokeswoman said. It also plans to launch online operations with a Chinese partner, she said, without naming the company. Home Depot debuted in China with a 12-store acquisition six years ago and the number has since dwindled as it found that Chinese consumers differ from their global counterparts. As Swedish furniture giant IKEA discovered, Chinese consumers will pay for people to do the work for them. Several years ago, the furniture store added services to help customers assemble their furniture. Home Depot’s closures will cause the company to take a $160 million after-tax charge in the third quarter, a company statement said. The charge will be equal to about 10 cents per diluted share, and will include the impairment of goodwill and other assets, lease terminations, severance and other charges associated with closing the stores. The Economist reports an amazing on an amazing turnaround of Honeywell. It appears to be a great example of strategy implementation. Honeywell likes its meetings short but plentiful. Every production cell, as the smallest shop-floor unit is called, starts the day with one. The aim is to try to identify problems and ideas for improvements, which are then pushed up to senior managers. Even the lowliest worker is expected each month to come up with two implementable ideas for doing things better. As an illustration of the firm’s devotion to “continuous improvement”, this is one of the pillars of what has become known as the “Honeywell operating system” (HOS). This new production system, introduced over the past eight years, has helped transform Honeywell from a troubled giant to one of America’s most successful companies. Honeywell’s sales in 2011 were 72% higher than in 2002, and its profits doubled to $4 billion. A new emphasis on generating cash also means the firm has more money in the bank for every dollar declared in profit. John John Baldoni writes on CBS.com. Enter Sergio Marchionne. 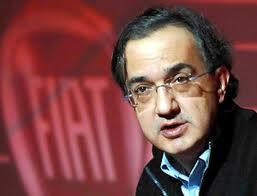 With Fiat was on the brink of solvency in 2004, Marchionne was named CEO and completely revamped the enterprise. He would later do the same at Chrysler. As Clark writes: “Marchionne’s unusual ability is that he can see what actually needs to be done, and then cajoles and goads his flat management structure of dozens of direct reports in weekend meetings to achieve the goal.” “Marchionne doesn’t let go,” A UBS analyst adds. “That’s what his strength is. He is good at strategy and at execution.” Under Marchionne, both Fiat and Chrysler have turned the corner (at least for now). The balance between vision and execution is akin to right- and left-brain thinking. A visionary thinks about what can happen. He or she has a highly specific vision of the future—and not simply as a set of desired outcomes, but rather in terms of what must occur to produce those outcomes. By contrast, executing the vision requires putting the right people in place and providing them with the necessary resources to succeed. It also means holding people’s feet to the fire. Marchionne is known for firing people who aren’t up to the task. It’s never pleasant, but it is imperative. At the time the first iPhone appeared in 2008, RIM had successfully moved the BlackBerry into the broad consumer market from its base of government and corporate customers. But the company was totally unprepared for the popularity of a phone that lacked a physical keyboard and ran thousands of applications — in effect a versatile Web-connected handheld computer. RIM’s co-chief executives were initially dismissive of the challenge from Apple, and Mr. Balsillie boasted that the iPhone would enhance RIM’s fortunes by increasing awareness of smartphones. But the iPhone introduced two broad changes to the smartphone market that had severe consequences for RIM and other phone makers, including Nokia. The iPhone and its apps shifted the emphasis from hardware to software. Then, the iPhone’s popularity led corporate information technology departments, which once allowed only BlackBerrys to connect to their e-mail networks, to support employees’ iPhones. 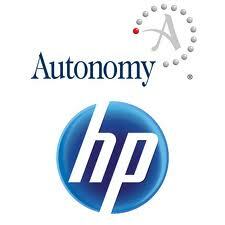 The arrival of Android-based phones from a variety of manufacturers only compounded RIM’s woes. Related: The New Yorker on BlackBerry’s troubles. Click on “More” for an video message of the new CEO to employees.